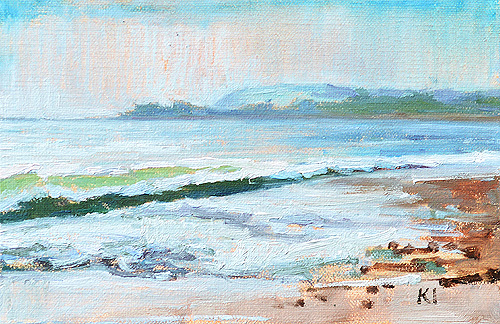 High tide just after dawn on the beach in Carpinteria, California. I almost avoided getting my shoes wet. 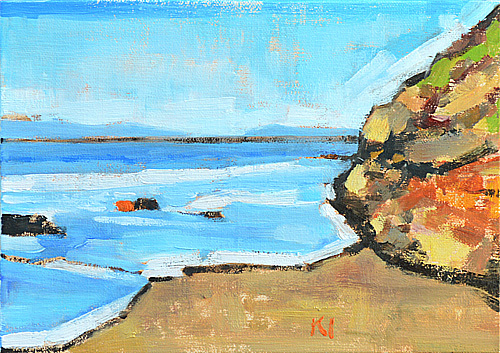 Just got back from 2 days painting in Laguna Beach. 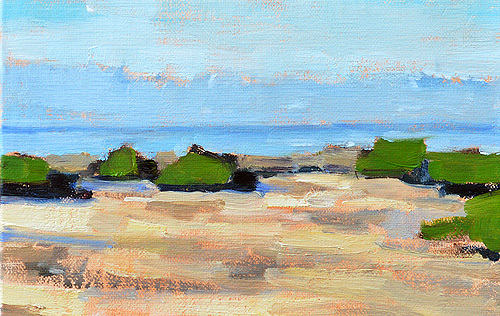 This one's from Crystal Cove. A quiet afternoon at Capo Beach in Orange County, California. 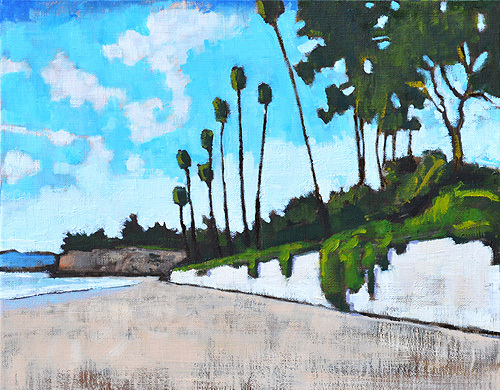 Butterfly Beach - sold, but here are more California paintings. 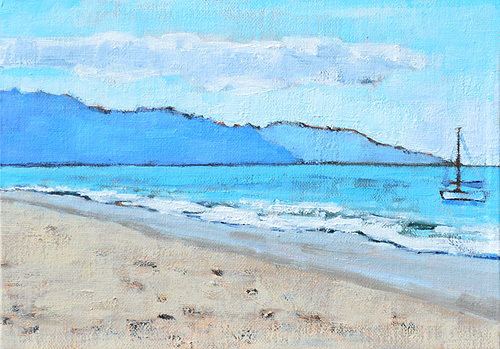 Butterfly Beach in beautiful Montecito, California. 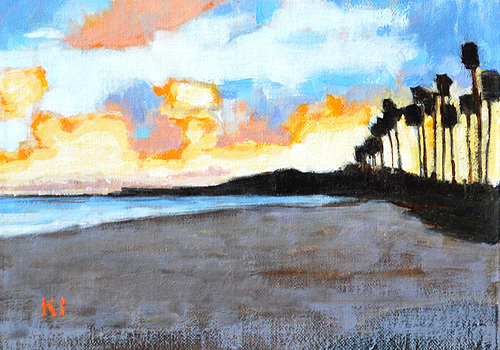 A blazing sky over East Beach in Santa Barbara, California. 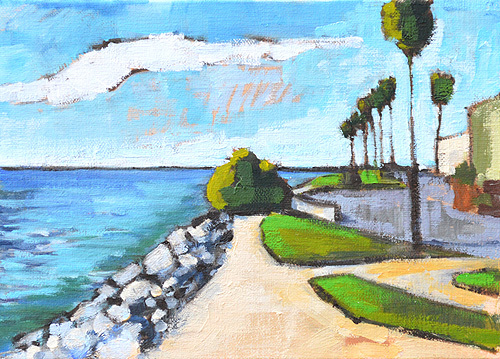 The place where Mission Bay flows into the Pacific Ocean, in Mission Beach. Leadbetter cliffs at dawn, the beginning of a perfect day in Santa Barbara. 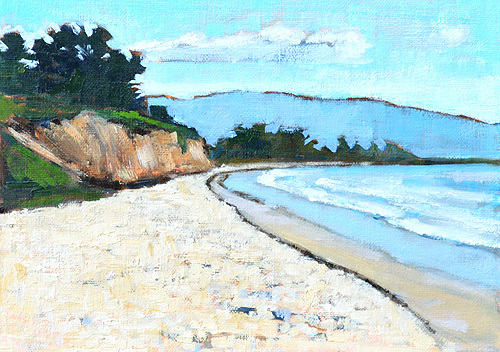 Painted "en plein air" or outside on the beach in Santa Barbara, California. I love this beach with its sailboats moored just offshore.